Swimming pools, tennis courts, a private beach, and an excellent choice of cuisine for lunch and dinner; these are just a few reasons to choose Hotel Ta' Cenc. This five-star hotel boasts an impressive list of sports and leisure facilities, all on the highest point of Gozo, overlooking the cliffs. The guest rooms are housed in stone bungalows, which are spread throughout the resort. 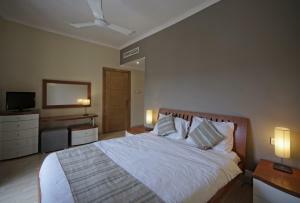 Each room comes with air conditioning and a private terrace or small garden. You could never get bored at Ta Cenc with 2 tennis courts, and 2 swimming pools; one of which has a mini pool for children and a Jacuzzi. You can take the free minibus to the private beach, just a 5-minute drive away. Here you will find a bar and grill restaurant. Back at the hotel you can have fun with table tennis, billiards, video games, plus a host of board games. Work out at the gym and relax in the wellness centre with a heated swimming pool, Finnish sauna, Jacuzzi, and steam bath. Pamper yourself with a solarium or massage. The professional team of staff can organise tours around Gozo. At reception you can also change currency and hire a car. The award-winning chefs prepare the finest Italian and international cuisine at the restaurant. Choose between an à la carte and set menu. Afterwards, relax out on the terrace with a drink and enjoy live music. Ta' Maria BnB is a farmhouse of the 19th century. 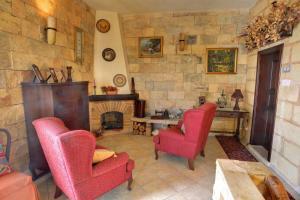 Set in the open countryside, it is located in Ghasri, the smallest village in Gozo. In 7 minutes, you can walk to the bus stop for links with Victoria. Ta' Maria offers 2 terraces with tables and chairs, and an outdoor swimming pool, open all year. 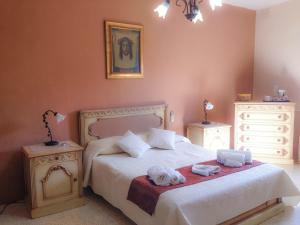 The rooms are furnished with antiques, and offer a private bathroom. Free Wi-Fi is available at reception. A sweet and savoury buffet is served daily, in the former mill with fireplace, or by the pool. Cakes and jams are homemade, by the pastry chef. Bus 308 connects the village with Victoria, 3 km away. From Victoria, it is a 15-minute ride on bus 301 to reach Mgarr ferry terminal. Set in the heart of Gozo Island, Gozo Village Holidays is in the village of Ghasri, 2 km from the capital Victoria. 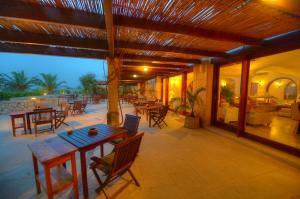 It offers a large outdoor swimming pool and self-catering accommodation. This property is set in the peaceful village of Ghasri, a 5-minute drive from Victoria where you will find the Cathedral and St George's Basilica. The beaches of Ramla Bay are 10 minutes' drive away. Apartments are spacious and characteristic with tiled floors and stone arches. They all feature cable TV and a fully equipped kitchenette. Each one has a private balcony or terrace and is surrounded by palm trees and greenery. Some have countryside or distant sea views. Free ironing facilities are available on request and free Wi-Fi is available in public areas. Featuring free WiFi and a restaurant, Ta' Bertu Host Family Bed & Breakfast offers accommodations in Ħal Far, just 5 miles from Valletta. Free private parking is available on site. Bike rental is available at this bed and breakfast and the area is popular for biking. 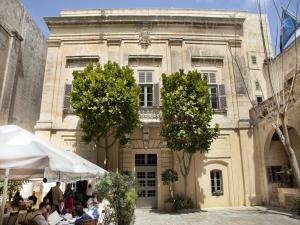 St. Julian's is 7 miles from Ta' Bertu Host Family B&B, and Sliema is 6 miles away. 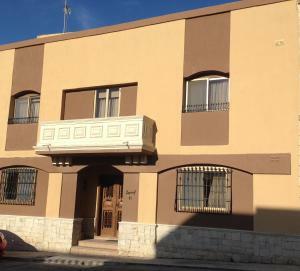 The nearest airport is Malta International Airport, 2.5 miles from Ta' Bertu Host Family Bed & Breakfast. The Porto Azzurro Aparthotel, in Xemxija Bay, is prominently situated overlooking the picturesque St. Paul's Bay with breathtaking views of the Maltese countryside. Amenities include a 24-hour reception. Restaurant, Bar and Pizzeria. 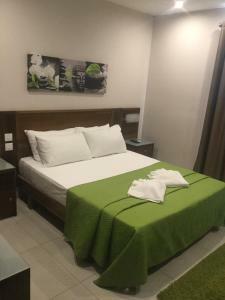 There is also a new outdoor fresh water Swimming Pool with children's section, whirlpool, waterfall, and a Pool Bar with ample sunbathing area. Offering 2 swimming pools, a bar and a pizzeria restaurant, Mariblu is located next to the University of Malta in the village of Xewkija on Gozo Island. Mariblu is a friendly family-run guesthouse with 3 star amenities. 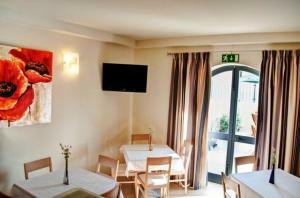 All rooms are air conditioned and come with a fridge and tea and coffee-making facilities. Guests have free Wi-Fi access in public areas and a buffet breakfast served each morning. Mariblu is on the bus route from Mgarr Harbour to the town of Victoria, and offers a free harbour shuttle. 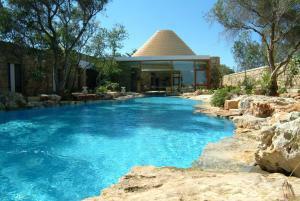 It is 3 km away from Gozo Heliport and the Ancient Temple Museum. 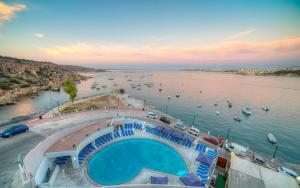 Cerviola Hotel is located in Marsaskala, just 4 miles from Valletta. The hotel has a seasonal outdoor pool and sun terrace, and guests can enjoy a meal at the restaurant or a drink at the bar. A flat-screen TV with cable channels is provided. There is a 24-hour front desk at the property. The hotel also provides car rental. St. Julian's is 6 miles from Cerviola Hotel, and Sliema is 5 miles away. 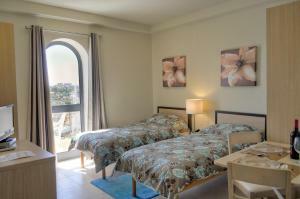 The nearest airport is Malta International Airport, 5 miles from the property. 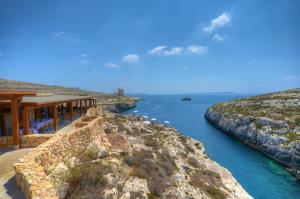 Enjoy the sea view from your balcony at the Paradise Bay Hotel, which overlooks the islands of Gozo and Comino. You have tennis courts and indoor and outdoor swimming pools. Paradise Hotel has its own, private beach, which you can enjoy during the summer. Water sports and scuba-diving courses with qualified instructors are available all year round. The hotel features 3 outdoor pools and spacious, sunbathing terraces. The heated, indoor pool is open during the winter. Each room has every modern comfort, plus a balcony with sea view. The hotel has a dedicated team of multi-lingual staff who are always happy to be of assistance. Nearby you will find a local bus stop and the small harbour where you can take the ferry to Gozo. Your day starts with a traditional English breakfast, with plenty to choose from. The poolside bistro is open throughout the day and serves light meals and drinks. Lunch and dinner is in the form of a rich, Mediteranean buffet, with an à la carte menu also available. The hotel has 4 meeting rooms, suitable for a maximum of 180 delegates. Featuring free WiFi and air conditioning, Claureece Court Mgarr is located in Mġarr, just 8 miles from Valletta. St. Julian's is 7 miles away. All units have a sitting area. Some units include a dining area and/or terrace. There is also a kitchen, equipped with an oven and refrigerator. 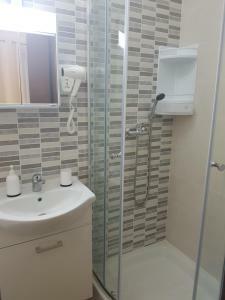 There is a private bathroom with a bathtub or shower and a hairdryer in each unit. Bed linen are provided. 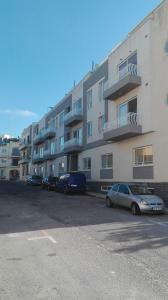 Sliema is 8 miles from Claureece Court Mgarr. Malta International Airport is 8 miles from the property. 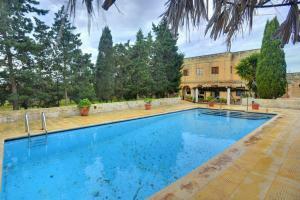 Located in Għasri, Gozo Escapes features a garden and year-round outdoor pool. Valletta is 20 miles away. Free WiFi is available throughout the property and free private parking is available on site. Featuring a balcony, all units have cable flat-screen TV, There is also a kitchen, equipped with an oven and toaster. A refrigerator and kettle are also featured. There is a private bathroom with a hairdryer in each unit. St. Julian's is 17 miles from Gozo Escapes. 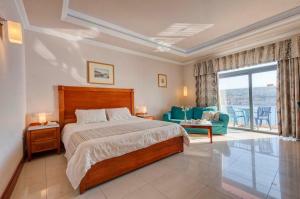 The nearest airport is Malta International Airport, 21 miles from the property. Showcasing a terrace and views of the sea, St. Patrick's Hotel is located in Xlendi in the region of Gozo, just 19 miles from Valletta. Guests can enjoy the on-site restaurant. Each room at this hotel is air conditioned and features a TV. 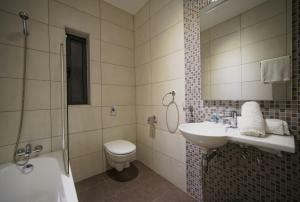 Each room comes with a private bathroom equipped with a bathtub or shower. For your comfort, you will find free toiletries and a hairdryer. You will find a 24-hour front desk at the property. The hotel also provides bike rental and car rental. 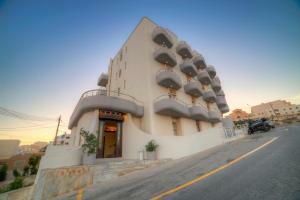 St. Julian's is 17 miles from St. Patrick's Hotel, and Sliema is 18 miles from the property. 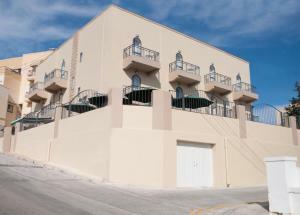 The nearest airport is Malta International Airport, 19 miles from St. Patrick's Hotel. Offering an outdoor pool, restaurant and sun terrace, Hotel Kappara is set on a hill in San Gwann. All spacious rooms come with an LCD TV with cable channels. Sliema is 3 km away. 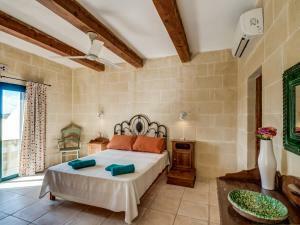 Rooms at the Kappara have simple wooden furnishings and a small kitchenette. Some rooms feature a balcony. Breakfast is continental-style, with ham, cheese and croissants. A cooked English breakfast is available on request. The restaurant serves Mediterranean cuisine at dinner. The year-round pool has a sun terrace with loungers and parasols. Guests can book the poolside barbecue to prepare their own meals. The nearest sandy beaches are at St. George's Bay, 4 km away. It is a 20-minute drive to Malta International Airport. Featuring free WiFi throughout the property, D'Ambrogio Malta offers accommodations in Rabat, just 7 miles from Valletta. The rooms have a flat-screen TV. A terrace or balcony are featured in certain rooms. Extras include free toiletries and a hairdryer. There is luggage storage space at the property. The guesthouse also provides bike rental. St. Julian's is 6 miles from D'Ambrogio Mal, and Sliema is 6 miles away. The nearest airport is Malta International Airport, 6 miles from D'Ambrogio Malta. Showcasing a sauna and fitness center, The Xara Palace Relais & Chateaux is located in Mdina in the region of Malta, just 6 miles from Valletta. The hotel has a sun terrace and views of the city, and guests can enjoy a drink at the bar. Some accommodations have a sitting area for your convenience. A terrace or balcony are featured in certain rooms. You will find a 24-hour front desk at the property. The hotel also provides bike rental. 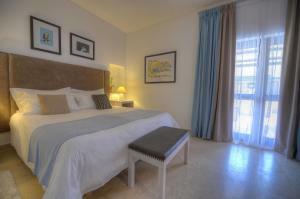 St. Julian's is 5 miles from Xara Palace Relais, and Sliema is 6 miles from the property. Malta International Airport is 5 miles away. Directly on the sea and right across from a public rocky beach, Ambassador Hotel is a 5-minute drive from Saint Paul’s Bay. 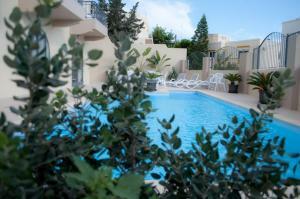 It offers a nice outdoor pool overlooking Xemxija Bay. 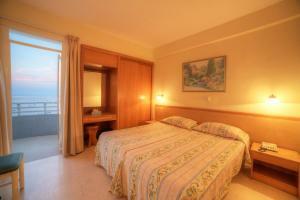 Each room at the Ambassador is air conditioned and features satellite TV and a balcony, some of which overlook the sea. They all have a private bathroom complete with a hairdryer and toiletries. 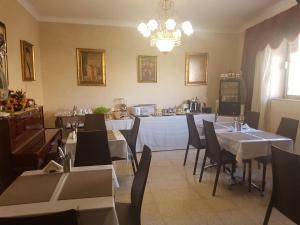 The hotel’s restaurant serves a varied buffet of Malta cuisine and fresh seafood. Breakfast is also buffet style and includes coffee and a selection of sweet food. Hotel Ambassador is 15 miles from Malta International Airport. The staff is available 24 hours a day and can organize excursions in the surroundings.